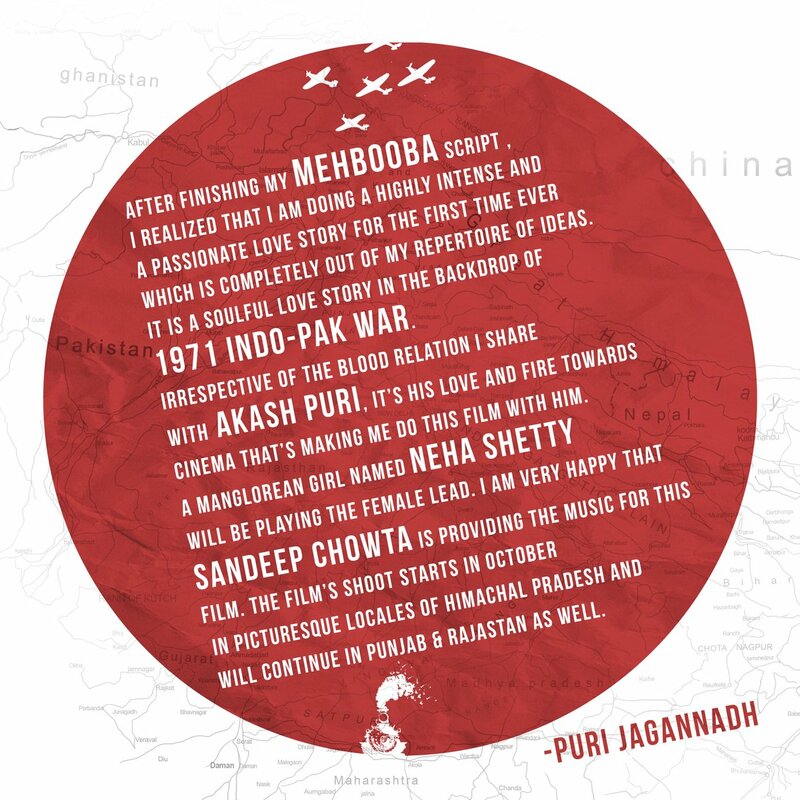 Director Puri Jagannadh's New Movie has been titled as Mehbooba starring AkashPuri and Neha Shetty in the lead roles. Puri Jagannadh is introducing his son Akash Puri as Hero for his 33rd Movie as a Director in Mehbooba. On the eve of Puri's Birthday... the movie team has released the Title Poster today. 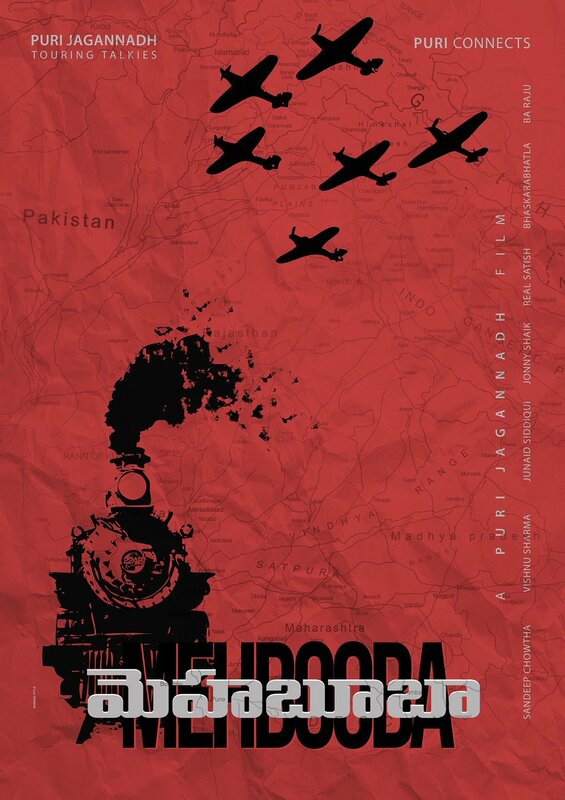 The story of this movie is a sensible love story on the backdrop of 1971 Indo-Pak War. Sandeep Chauta is giving the music for this movie.